This may not be for everyone, but I’ve had a lot of Hams ask about DM780 CW decode. 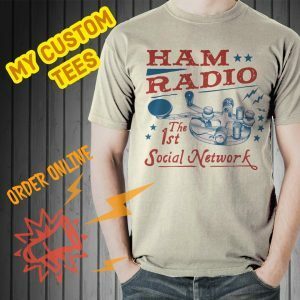 If you’ve had Ham Radio Deluxe for a length of time, maybe you have at least tried it out. It’s not the best CW decoder out there, but it does work and it can be used. This is what I found. CwGet on the left and DM780 on the right. First thing, DM780 needs a strong signal and a low noise level to decode near 100%. Anything less and I had trouble. Sometimes it’s gibberish and other times the characters just run together. Adjusting the filter in DM780 and the squelch is important. I also use a narrow 250 Hz filter on my radio. Sometimes the NR on the Icom 7300 helps and other times I believe it makes DM780 CW decode worse. In DM780’s waterfall the main frequency marker needs to be on frequency. Just to give the video below some context I threw in CwGet. CwGet is a paid program, but it can be tried without registering. If you are looking for software to help translate Morse code, I suggest trying it. CwGet is more forgiving and requires less user intervention. See the video. I look at these programs as learning tools for decoding CW. They assist us. If you are a new Ham I would encourage you to learn Morse code and become proficient at a comfortable speed. 5 wpm is a good start. There are many excellent websites and phone apps that can help Hams learn Morse code and how to make CW contacts. Listen to W1AW with DM780 and see how much you can translate in your head. Personally, I use CwGet with N1MM Logger in contests. It’s a good tool for me. 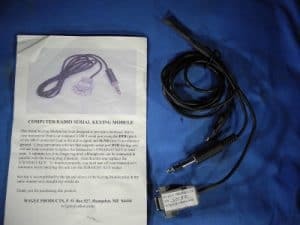 I’ll be using CW Skimmer more with the Icom 7610. The more we use Morse code, the better we get. My first CW contact on an old Heathkit with a straight key was very exciting at 5 wpm. I’ll bet every Ham remembers their first CW contact on a straight key! Next up… DM780 and sending CW. Try using just the USB cable for HRD Rig Control and for DM780 you can use the USB Audio CODEC for the soundcard. 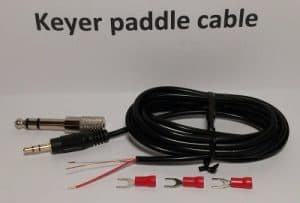 You can use the CI-V cable for WSJTX or another similar program later. If You still want to use the CI-V cable and the USB cable with HRD, then use the CI-V cable for rig control and the USB cable for data modes. That was the way I was doing it so I could transmit RTTY FSK. I would get the data modes working first, like PSK 31. Are you able to transmit using PSK31? CI-V addresses do not need to be changed. Hi Rich, I’ve been watching your videos concerning HRD with the IC-7300 in CW mode. HRD and DM780 work fine in receive mode over the USB cable. The problem is getting the macros to transmit. I ordered a CI-V cable from Amazon. HRD controls the radio fine (as before). DM780 reads CW fine but still no transmit macros. I am struggling with configuring the software to use both cables. The USB is VCOM 5 and CI-V is COM 3. Do the USB and CI-V need different CI-V addresses? Nice to hear from you and thank you for commenting here. Thank you so much. This may help you. 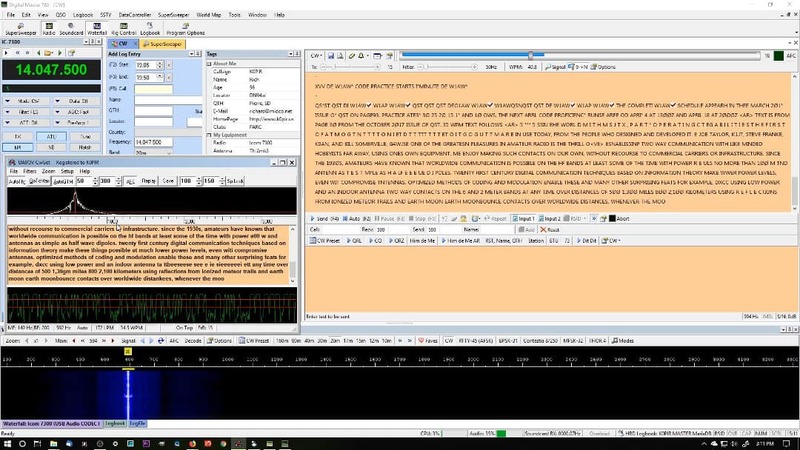 For RTTY (FSK) it needs to be in RTTY mode. There must be something wrong in the DM780 setup in yours or the radio. I will have to do a short clip on DM780. In DM780 Program Options>Modes+ IDs>RTTY. Enable FSK Keying, use the second COM port you have for the 7610 USB cable (not the COM port used for rig control). Under devices use Rigblaster Pro, Icom(DTR). My 7610 screen captures are here. Thank you for your info but I found that the wrong com port was being used so OK now thanks. My problem is not being able to even download hrs/dm780 on 7610… free version not available…when try to download the current version and click on the trial “button” absolutely nothing happens, I used the free version very often until pic crashed and I lost everything. I miss it. Nice to hear from you and thank you for commenting here. I understand they moved the free version, but it should be still available somewhere on the net. If you want to try the latest version they have , you can go here. Click the download button. It says the full and trial version is the same download. I hope this helps. I like HRD, just wish it was free like years back, hi hi. Off topic a little, I still use DXLab Suite. It’s a little more difficult to understand, setup and get working (IMO), but it works great. It’s free too. When I strted with DXLab Suite I just took one module (program) at a time, so I could get used to it. That download link will work for you, thanks again and best 73! Hi Rich, some good info here as usual. I downloaded CwGet and it installed just fine but in your next video it would be helpful to do a short segment on setting up CwGet! There are a lot of options for soundcard setup and levels etc. that you have already tested. I haven’t used CwGet indepth and that’s a good idea. There is more to the program than what was seen in this clip. To get it going just as I had it, all is needed is to set the soundcard setting in it. You’ll see the options I was using on the main window of CwGet. GTM, AFC and Auto Threshold. Everything else I believe was default with the program. See if that will work for you. Thanks for the idea and I will. It has some interesting features. Keep the excellent videos coming. The one on customising DM780 was really useful to me. Question. Using my IC-7610 with DM780 and RTTY FSK, do you set the IC-7610 mode to USB-D or RTTY? I have to use USB-D otherwise I get a continuous tone with DM780 in FSK mode. Do you see the same? So I cannot use the RTTY TPF.